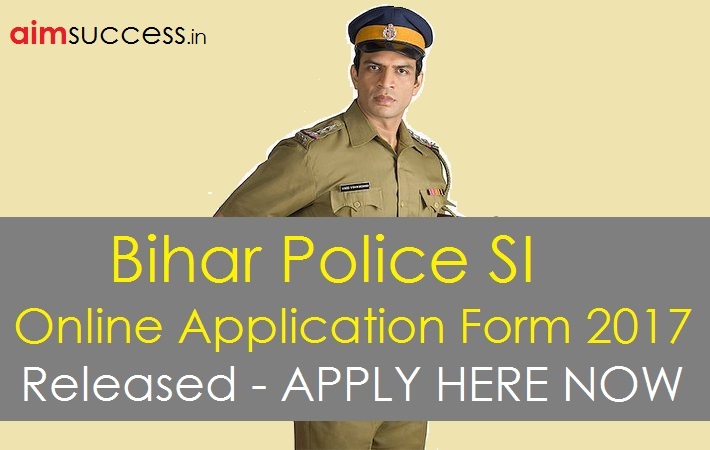 Bihar Police has issued a notification on 16 September 2017 regarding fresh recruitment for Bihar Police Sub Inspector posts. As per the official notification on the website, a total of 1717 posts would be filled by means of the recruitment exercise. Interested candidates are required to apply online from today on the website bpssc.bih.nic.in. Here is a list of important information, details of the vacancy, eligibility and steps on how to apply. The online application forms would be available on the official website from today. Important instructions on how to fill the applications forms are available. Candidates of Indian origin within the age group of 20 to 37 years for male candidates and 20 to 40 years for female candidates can apply for the posts. The cut off for the age limit is set at January 1, 2017. Please note, age limit for candidates belonging to BE/EBC Male and female candidates is set from 20 – 40 years and those for SC/ST male and female candidates is set at 20 – 42 years. Note, candidates who do not have a domicile of Bihar have to apply under General Category (irrespective). Interested candidates have to pay an online fee of Rs. 700 for the online application. The concession in fee is only available for SC/ST candidates. The fee applicable for SC/ST candidates is set at Rs. 400. In order to apply, first Click & Register on above link. Candidates would be required to provide their name, email id and mobile number to register. Kindly note, you are not required to add Ms., Mr., Dr., Mrs., or any prefix to your names. After submitting the fees, candidates would be able to check and download the application form copy. Candidates to please note that the online application forms would begin from today and close on November 30, 2017. The last date of submitting the online application forms would not be extended. Also, the selection would be based on a preliminary written exam, a main written examination and a Physical Efficiency Test. Candidates who qualify the preliminary would be invited to write the main examination. Approximately 10,000 candidates would be shortlisted after the main examination for PET tests which would then be used for final selection. Thanks & All the best for Exam..